Can elevator lobby doors be locked, and only allow egress through the tenant space when there is a fire alarm? The answer to this question depends on which code is being followed. NFPA 101 allows doors serving elevator lobbies to be locked with a fail safe lock, which unlocks automatically upon actuation of the fire alarm/sprinkler system and upon loss of power. Refer to the Decoded article or the code for more information. Some state and city codes also include similar requirements. BUT – the International Building Code (IBC) – which is the most widely-used building code in the US (by far), requires at least one code-compliant means of egress from the elevator lobby. If there is not direct access from the elevator lobby to an exit stairwell, then the path of egress likely passes through the tenant space – including the doors that the tenant probably wants to secure. In order to comply with the IBC, the egress doors leading from the elevator lobby through the tenant space to the exit stairwell CAN NOT be fail safe locks that unlock upon actuation of the fire alarm. The IBC does not allow this – remember, it requires at least one code-compliant means of egress leading out of the elevator lobby. That means the doors can be non-lockable and/or equipped with alarms, and in most buildings delayed egress locks would also be an option. These applications allow egress from the elevator lobby and are code-compliant. There are other types of emergencies other than a fire, where occupants need to egress from an elevator lobby. Some jurisdictions permit delayed egress maglock, however that is a good life safety measure but provides very poor security. In some buildings the elevator lobby doors are required to be smoke barrier, that really complicates things if delayed egress hardware is because positive latching is still required. I get static from architects that want to use all glass Herculite doors in those applications. I agree with the IBC in that a direct path of egress be provided to the stairwell without reliance on electronic locking. I rarely find elevator lobby doors that swing out of the lobby. Rather, they tend to swing into the lobby from the tenant space. Is that a code issue? 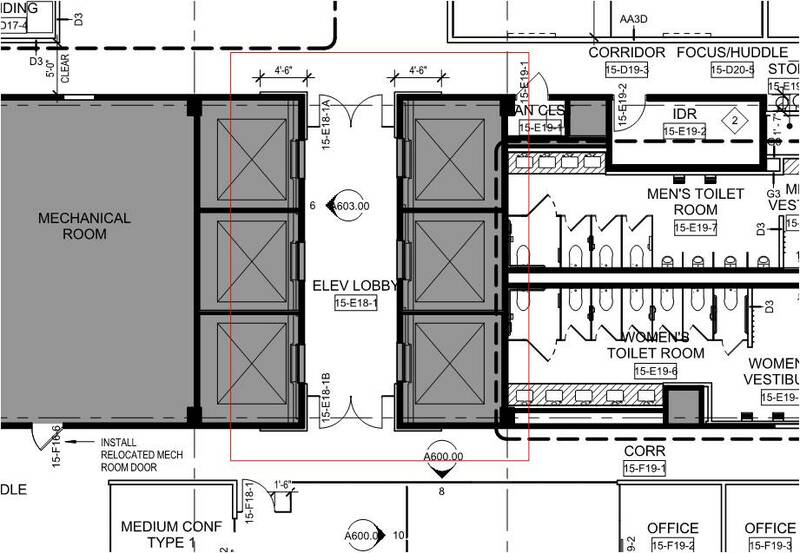 It would only be a problem if the doors were serving an occupant load of 50 people or more, and in an elevator lobby that’s unlikely. There should be a path of egress to two stair towers from the elevator lobby. Usually a “race track” corridor is built around the core and the tenant spaces are accessed from the race track. 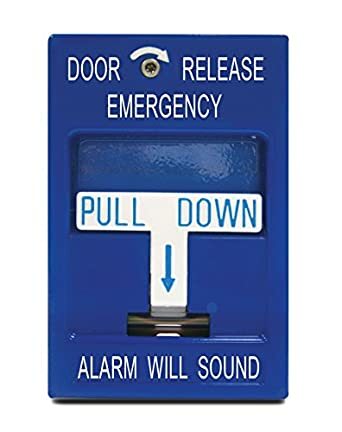 Have the doors locked, with a door release “pull station”.